As you may remember, the Teal Terror's crankshaft is buggered up. Consequently, it's been sitting since its fateful flatbed ride back to Portland in June. Since determining the problem, I've been getting the necessary parts to attempt to resuscitate the trucklet. In fact, I just got off the phone with the local Mitsubishi dealer (and former Suzuki dealer) and ordered the final piece: a new center crankshaft bolt. I'll clean up the crank snout with a file and some carb cleaner; get it as close to "OK" as possible. After some serious research and consulting with others who have had this issue, I purchased a product from Loctite called Hysol 1C. This is an industrial epoxy that bonds to metal. 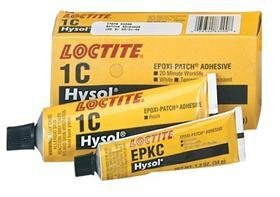 I called Loctite and described the situation, and it appears this will be the best product since I actually need to fill in a small area, and the product needs to be chemical and heat resistant. Next, I'll take the new woodruff key I bought, mix up some Hysol 1C, and set the key in the slot. I'll then let it cure for the appropriate amount of time, and hope it sets correctly. Next up, I'll take the bolt I ordered from Suzuki, install it into the crank snout, torque it to the appropriate number, and then attempt to reinstall everything. Lord, I hope I remembered to put all the parts back in the right area. The bottom line is this: Many people have fixed their crankshafts this way. Hopefully, this fix—which has coast less than $50—will solve the problem, and we can get the Teal Terror running again. Previous people who have done similar things have gone as many as 80,000 miles with this fix. It's certainly cheaper than a new engine. And if it fails? Well, it'll probably fail badly since this is an interference engine. However, the engine would've needed to be replaced anyhow, so we wouldn't really be out anything other than $50. 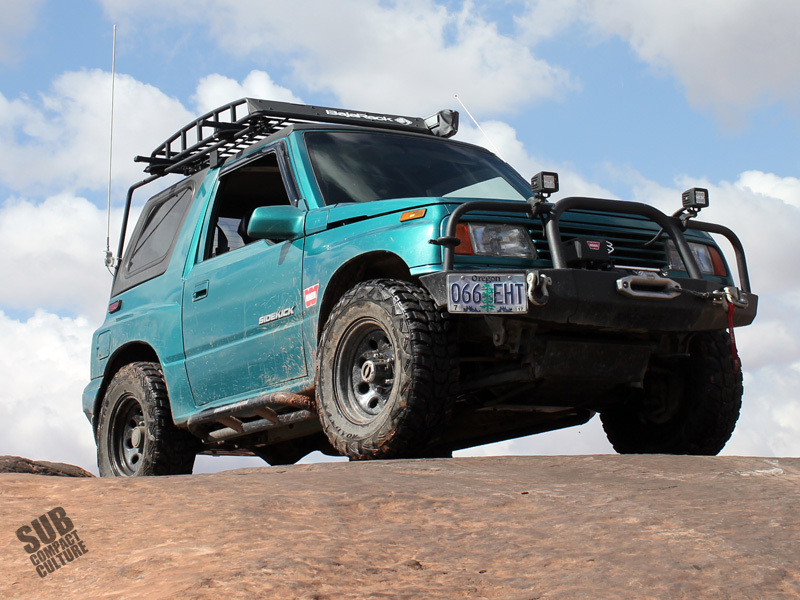 And, frankly, we will likely part ways with the 4x4 after it's fixed (or, God help us, the fix doesn't hold). We're now +1 with our Jeep Cherokee project over at Crankshaft Culture, and something's got to go. But let's not get ahead of ourselves. We first need to get this to work. Too bad we couldn't have gotten this fixed before the rainy season. Oh well, at least the Teal Terror is under the car port.